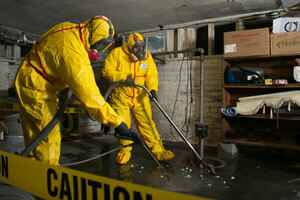 We handle all types of sewage cleanup quickly and professionally. Sewage damage is an extremely serious problem, especially when the sewage water leaks inside of your home or business. This water is harmful because it contains fungi and bacteria and can cause severe sickness or discomfort. Proper sewage cleanup techniques are required to return the building to a safe, useable place to live or work. Since sewage problems can happen at any time, Water Damage Recovery offers 24 hour service 7 days a week, 365 days a year. 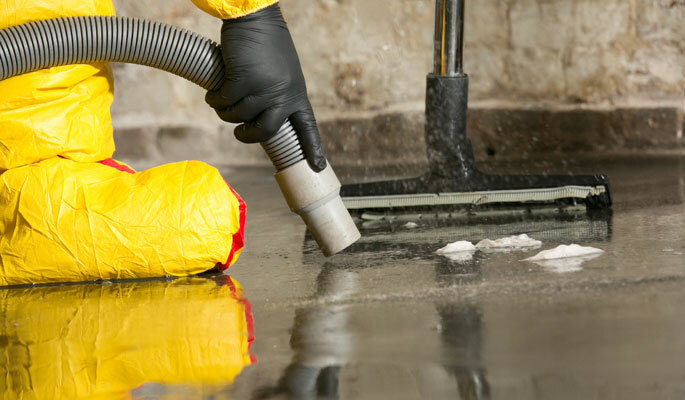 Our sewage cleanup technicians adhere to the professional standard of the Institute of Inspection, Cleaning and Restoration Certification (IICRC). We can immediately send them to locate your sewage leak, repair it, and treat all contaminated soil and building materials. Our well-trained technicians can quickly remove sewer water, sewage and mud from both under and inside your property using state-of-the-art equipment. They can also treat all of the infected areas in order to prevent the spread of biohazards such as bacteria, viruses, parasites, fungi and mold. Plus we guarantee all of our services. If one of our sewage cleanup services is not done right for whatever reason, we will come back and fix it until you are satisfied, Guaranteed. Don’t wait to call our properly-equipped, knowledgeable technicians to clean up and contain a potentially very dangerous “class three” black water spill. If you are in need of sewage cleanup for your home or commercial building, call us for a free estimate. Water Damage Recovery offers 24/7 service, every day of the year. Call now. We guarantee your sewage cleanup will be done right. Our IICRC-certified technicians have been specially-trained to extract sewage, mud and sewage water. They will remove and properly dispose of porous materials including furniture, carpeting, bedding and any other items which have absorbed the sewage water. After the sewage is gone, air movers are brought in to blow the moist air around the property. This is done so that our dehumidifiers can soak up the moist air to keep your home or commercial building dry while preventing mold growth. Sewage can invade your property in various ways. A broken sewer main, a flood and even an overflowing toilet can all lead to a smelly, filthy bio-hazardous mess. Moreover, sewage backup can cause dangerous black mold growth, which can be a huge health risk in and of itself. Solid Flushes – The most common cause of sewage backup is a blockage caused by things like dirt, hair, bones, kitty litter or grease accumulation – or by the flushing of solid objects that are too large for the pipes to handle like sanitary napkins and disposable diapers. Structural Defects – This includes problems with sewer service lines like holes, cracks, pipe collapses, sags along the line, misaligned pipe and offset or open joints. Tree Root Infiltration – Tree roots can enter the service pipe at joints and travel a long way, plugging the wastewater flow as it goes. These roots can additionally cause structural defects as they crack pipes when they grow. Blockage of Sanitary Sewers – A blockage can occur in a city sanitary main and if this blockage is not detected in time then sewage from the main can back up through the floor drains into businesses and homes. Flooding of Sanitary Sewers – During heavy rains sewer lines often fill up with water faster than they drain, which can lead to a sewage backup as the water flows back through floor drains causing overflows. Never put grease down garbage disposals, drains or toilets. 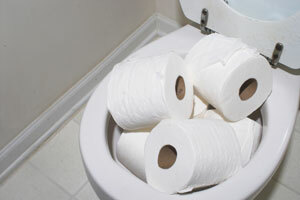 Never flush disposable paper products like sanitary napkins or paper towels down the toilet. Avoid planting trees that can spread roots that invade and clog your system. If the lateral line has a jointed pipe system, consider whether the roots of trees could infiltrate your pipes. Do not connect any areaway drains or sump pumps to the sewer line. Locate and keep accessible the sewer cleanout in your front yard. Perform periodic cleaning to eliminate grease, debris and roots in your service laterals. Install a backwater prevention valve, which allows sewage to flow out of your sanitary lines, but not back in the lines. This protects against not only individually caused incidences, but also those that result from municipality line problems, too.